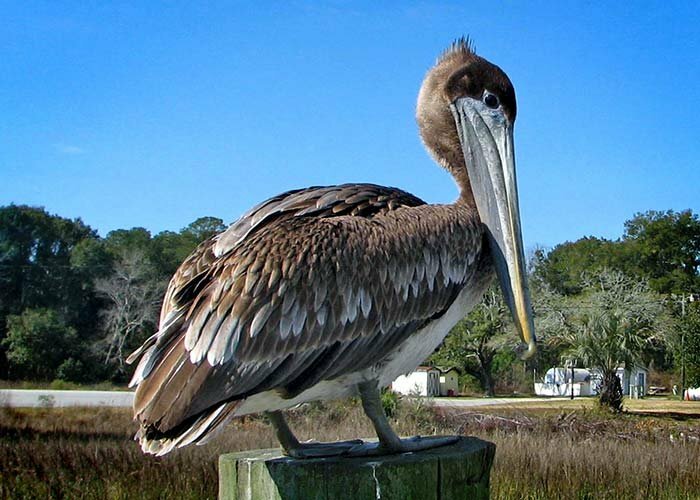 Louisiana’s state bird, the Brown Pelican, is one of the most prominent birds found in our area. To showcase this regal bird we’ve chosen a décor that’s artistic, soothing, and elegant. 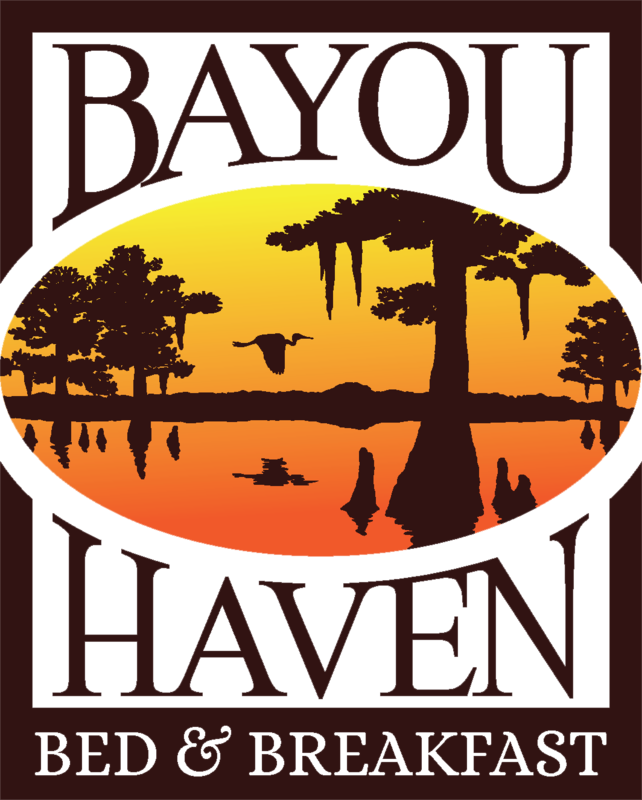 The room has a wall of windows with beautiful views of the wetlands and bayou. 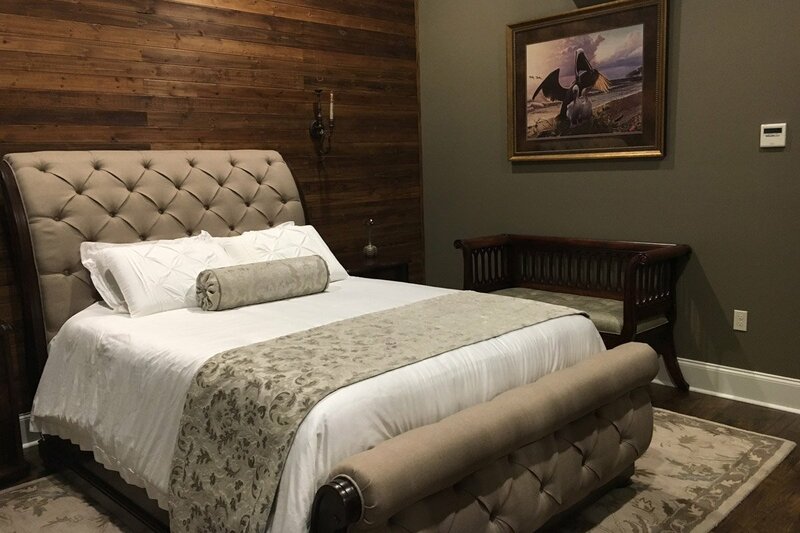 Located on the main floor and having it's own private entrance, the Pelican room has a queen size bed and a separate seating area. 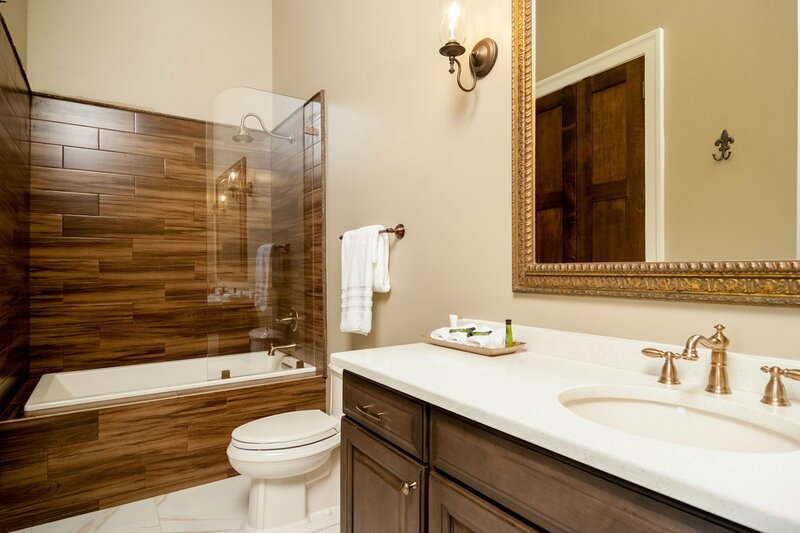 The cedar wall gives a stunning spa-like interior view, while the exterior just can't be rivaled. 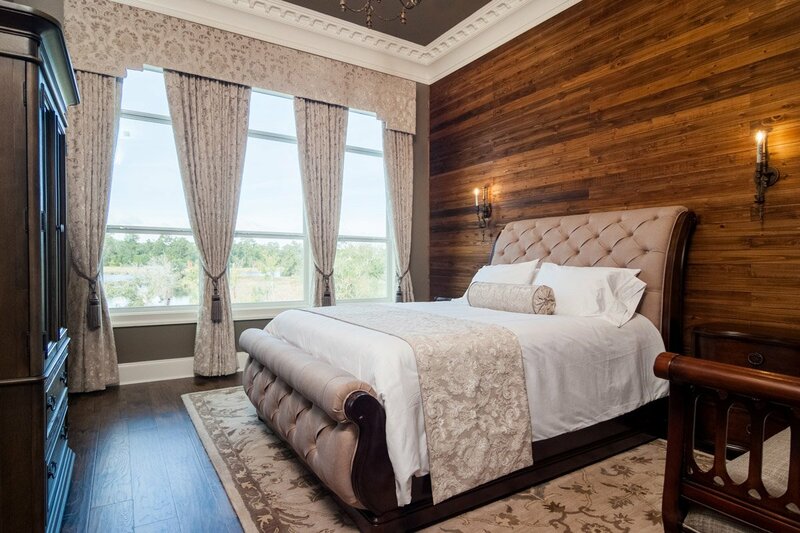 This room truly blends the beauty of both, while you enjoy a comfort like no other.